Outstanding achievements in their academic work and scholarship have earned three Kansas State University doctoral students awards from the university’s highest-ranking professors. 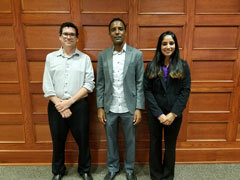 The winners of the University Distinguished Professors Graduate Student Awards are Stuart Miller, doctoral student in psychological sciences, Bettendorf, Iowa, who receives $4,000; Weldensie Embaye, doctoral student in agricultural economics, Eritrea, East Africa, who receives $3,000; and Bhupinder Sandhu, doctoral student in chemistry, Punjab, India, who receives $3,000. The awards recognize graduate students who have shown exceptional achievement in their graduate studies and demonstrate excellence in scholarship through publications and other accomplishments appropriate for their academic fields. The University Distinguished Professors Group established the guidelines and criteria for the evaluation of candidates, and Carol Shanklin, dean of the Graduate School, coordinates the selection process. Learn more about the recipients here. 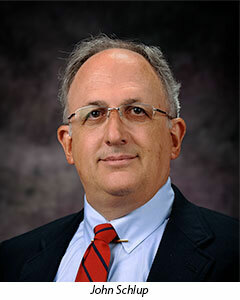 Stefan Bossmann, professor of chemistry, and John Schlup, professor of chemical engineering, were selected to receive the Segebrecht Distinguished Faculty Achievement Award for 2017. The award was established in honor of Ervin W. Segebrecht, a 1938 graduate of Kansas State University, to recognize professors who provide inspiration and excellence in teaching. Bossmann and Schlup received $2,000 from the Ervin W. Segebrecht Award Honorium. Learn more about the recipients here. 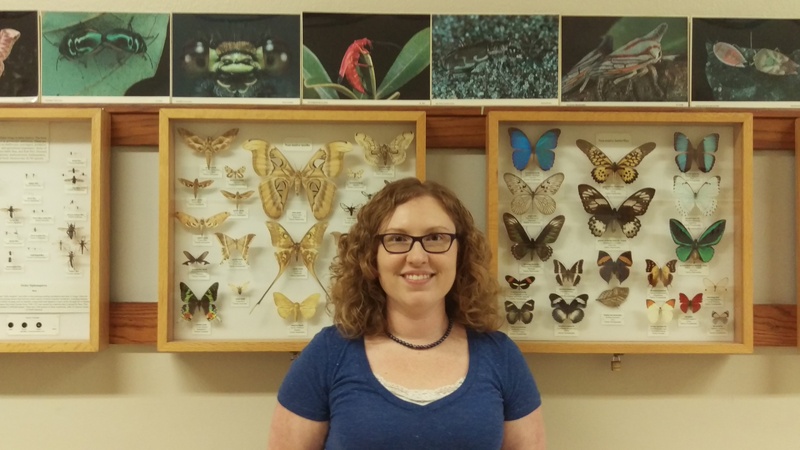 A doctoral student in entomology is the 2017 recipient of Kansas State University’s Marie R. Bonebrake Graduate Award. The $3,500 award was presented to Anastasia Cooper, Manhattan. The award recognizes graduate students based on academic merit and financial need. The student must demonstrate excellence in research, scholarship and creative inquiry appropriate for his or her academic field. 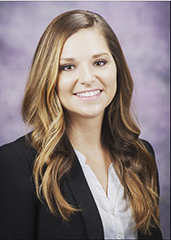 The Marie R. Bonebrake Graduate Award was established to honor Case Bonebrake’s late wife, who received her bachelor’s and master’s degrees from the College of Human Ecology at Kansas State University. Learn more about the recipient here. A multimillion dollar, newly funded project at Kansas State University will advance the materials science of certain silicon-based, molecular precursor-derived ceramic fibers in an effort to reduce costs and improve performance for high-temperature applications — particularly jet aircraft turbines. The grant also will provide international research and training opportunities for graduate students. 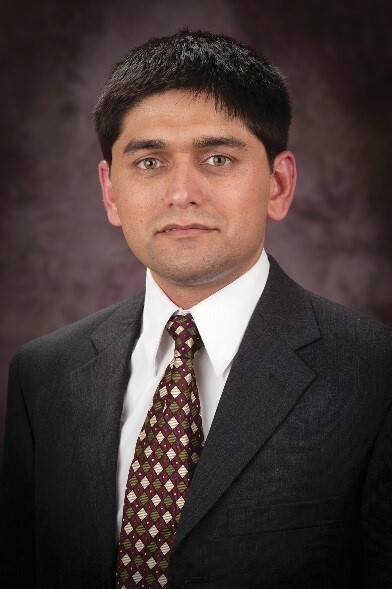 Gurpreet Singh, associate professor of mechanical and nuclear engineering, and the Harold O. and Jane C. Massey Neff professor in mechanical engineering at Kansas State University, is principal investigator for the National Science Foundation Partnerships for International Research and Education, or PIRE, five-year $4,694,233 grant. Learn more about the grant here. Tracee Watkins, doctoral student in human ecology, was recently awarded one of the culinary world’s top scholarship honors. 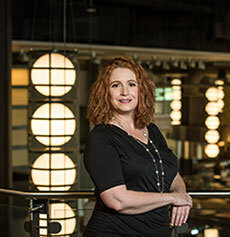 Watkins was named a 2017 James Beard Foundation, or JBF, National Scholar for her work in food safety and child nutrition programs. The James Beard Foundation National Scholars Program, now in its second year, awards scholarships of up to $20,000 to those who demonstrate the potential for leadership roles in culinary arts, food studies, agriculture, hospitality management and related fields. Learn more about the recipient here. To increase the capacity to study the role of finances in the marital relationship, Koochel developed the Financial Transparency Scale to assess financial transparency between married partners. Koochel developed this new scale after seeing that there was currently no scale available to measure financial transparency. Koochel will present her poster on Nov. 15 at the association’s symposium in San Diego, California. Elaine Johannes has been recognized as the 2017 Communicator of the Year by the Kansas chapter of the Association for Communication Excellence and the communications and agricultural education department. 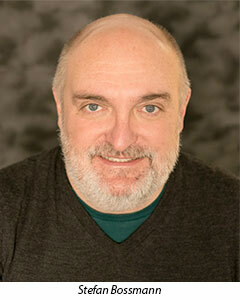 Johannes is an associate professor and extension specialist in the College of Human Ecology’s School of Family Studies and Human Services. 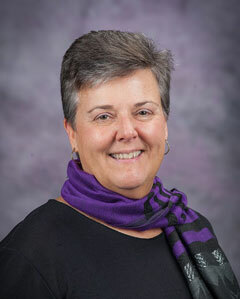 She will be recognized at the annual K-State Research and Extension Awards Luncheon on Nov. 2. The selection committee commended Johannes for her accomplishments, which include leading discussions about family, child and community poverty at the annual Kansas Poverty Conference. She presented her research about transmitting resilience in families that live in poverty. Learn more about the recipient here.